One of the best things to do in Prague during the Winter is ice skating. Probably due to the Czechs’ love of ice hockey, ice skating is also very popular among the local people. If you have never tried it, Prague is a perfect place to do so. It’s a lot of fun and nothing can compare to an evening ice skating among the historical buildings of Prague. There are various outdoor and indoor places to go in Prague, and here is our comprehensive list. Don’t worry if you don’t have ice skates with you, at most of the locations you can rent a pair for a small amount of money (usually around 50,- CZK). All of the places also offer sharpening of ice skates. LOCAL APPROACH Most of the local Prague citizens just wait until it’s very cold (below 10 °C) and waters freeze to simply enjoy ice skating in nature. This includes also the Vltava river or dam Slapy. If we have missed out your favorite ice skating rink, please let us know in the comments below and we will be happy to include it. OUR TIP Outdoor ice skating area Na Frantisku is traditional and well known among locals. The best thing is probably its location,next to the Vltava river and Jewish Quarter in Prague’s Old Town, so you are basically enjoying ice skating in the heart of historical Prague. The rink itself is pretty big (40 x 20 meters) and rental of ice skates is available. OUR TIP Another beautiful ice skating rink located in the heart of Prague is at Ovocny trh. Since it is operated by Prague city hall there is no entrance fee and lots of fun events (especially during the weekends). This ice rink is open daily, including weekends, from 10 am to 9 pm until the end of January 2019. Ice skates rental is available. 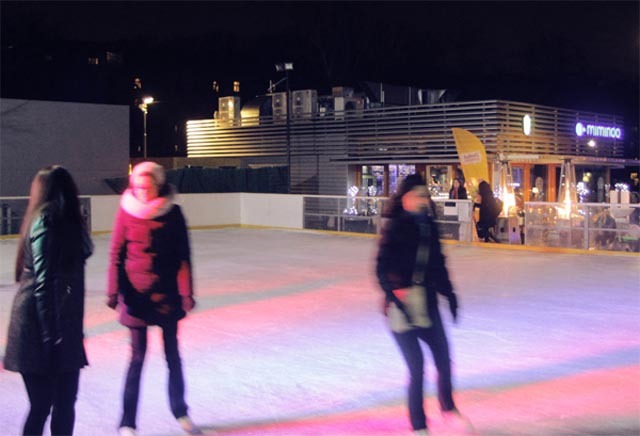 OUR TIP This is a brand new modern ice park right below the famous Zizkov Tower. Opened in 2014, it has a length of 30 meters and a width of 14 meters. It’s also right next to a fancy restaurant, MIMINOO, so when you are tired from ice skating you can get something to eat from a grill or hot home-made punch, bombardino, mulled wine, or hot chocolate. Rental of ice skates is available. 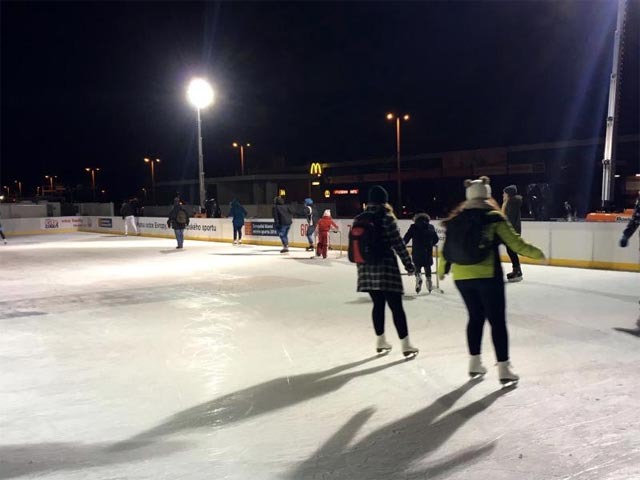 OUR TIP This brand new ice rink (opened on December 3, 2016) operated by Prague city hall at Letna offers free entrance to members of the public and various family events. 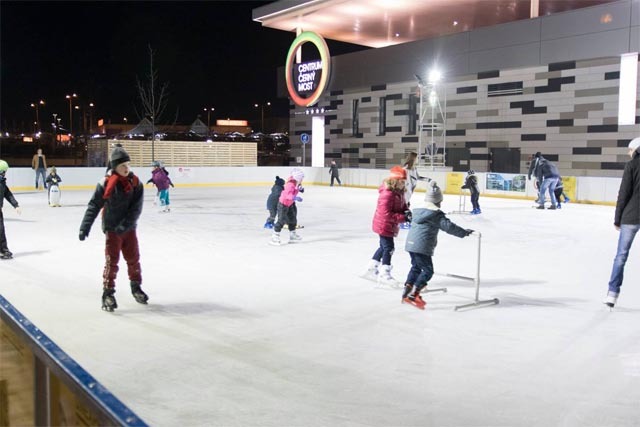 The ice rink is pretty spacious (40 x 20 meters) and open daily, including weekends from 9 am to 9 pm until February 24, 2019. It’s located at Letna Field and surrounded by a beautiful park close to Milady Horakove street in front of the AC Sparta Prague football stadium. Ice skates rental is available. “Gutovka” is a popular ice skating rink located in the middle of apartment blocks in a sports area of the same name. 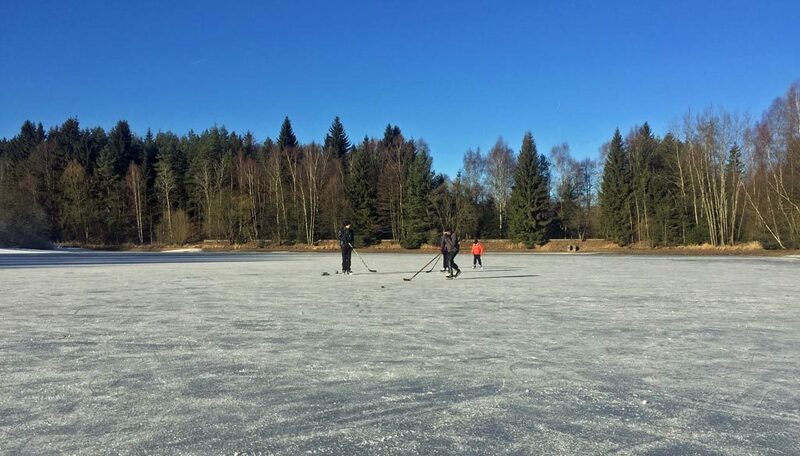 During the week, it is mainly used as an ice hockey field, and during specific times you can also enjoy public ice skating. The weekend is almost exclusively dedicated to ice skating. Ice skates rental is available. 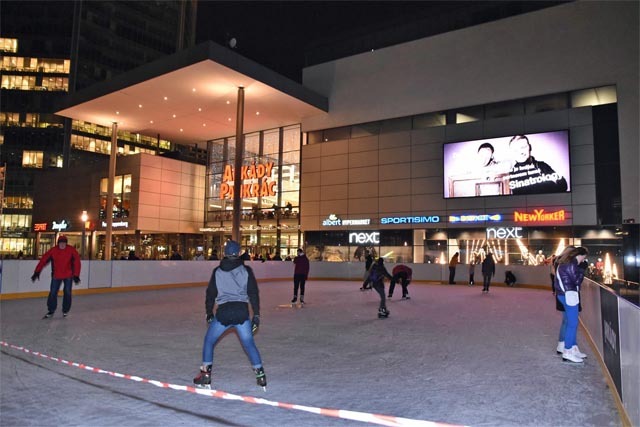 The last ice skating rink located at a shopping mall is the one at Galerie Harfa. It’s very special due to its location on the rooftop of the shopping center. The ice rink is quite spacious with a length of 30 meters and a width of 20 meters. The rink is open from 1 pm to 2:30 pm, only for kids with parents, and continues to 8:30 pm. Ice skates rental is available, and the last day of the season is March 31, 2019. 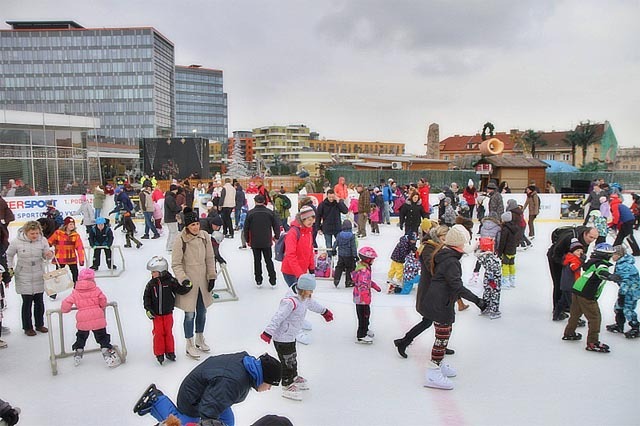 In order to attract more visitors, many of Prague’s shopping centers now have their own outdoor ice skating rinks. One of them is located in front of the Arkady Pankrac mall. The location and surroundings are not really romantic (shopping mall, business office parks), but the rink is open every day from 9 am to 9 pm. It’s perfect when you need to do shopping, anyway. The rink will stay open until the end of February 2019. Another shopping mall with its own ice rink is the Cerny Most shopping center. Just like the Arkady shopping mall, the location is not exactly magical, but it’s great to just combine your usual shopping with a bit of ice skating with your kids. The rink is open every day from 9 am to 9 pm and should be open until the end of January 2019. Ice skates rental is available. 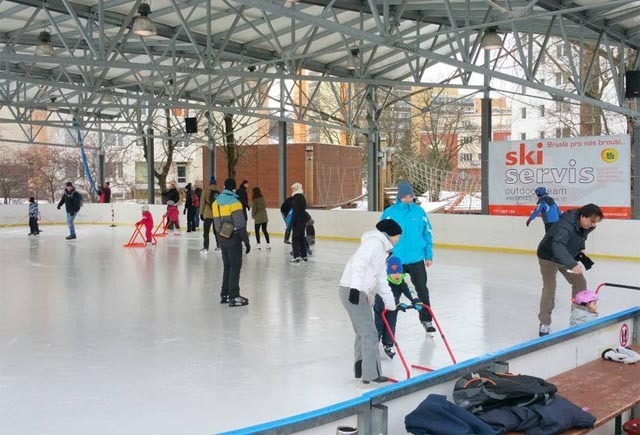 Besides the outdoor ice skating which has obviously much better and authentic atmosphere, you can also enjoy the ice skating indoor at various ice hockey stadiums in Prague. Most of those venues can also be rented for private events (company teambuilding, ice hockey matches with friends etc.). 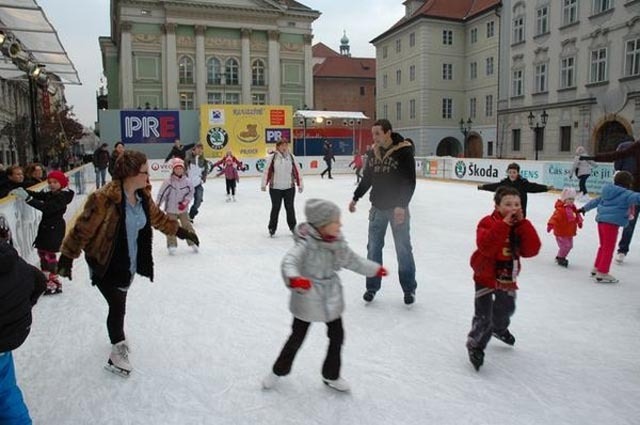 You can enjoy public ice skating located in the beautiful exhibition complex “Vystaviste Holesovice” every Saturday until the end of January 2019. Parking is available in the complex parking area. This is mainly used as a stadium for ice hockey, but also offers public hours for ice skating. It is located next to Letnany shopping center and Letnany Lagoon aqua park, so you can do lots of activities in the surrounding area. Another ice hockey stadium with a long tradition (established in 1961) which also serves for figure skating and public ice skating during the weekends. Interesting fact is the entrance fee is very low (only 40,- CZK) and same for 14 years. This is the home stadium of the local ice hockey team HC Hvezda Praha. Public ice skating is open only during the weekends. This is the home stadium of the local ice hockey team HC Kobra Praha. Public ice skating is open only during the weekends. A restaurant is part of the stadium complex, so you can have a hot beverage or meal. This is proof of how much Czechs love ice. There is 2-star hotel called Hasa in Prague which has its own ice stadium, used mainly for ice hockey but also for public ice skating. Although we can’t recommend the accommodation (see our Prague accommodation tips), the ice stadium is great. 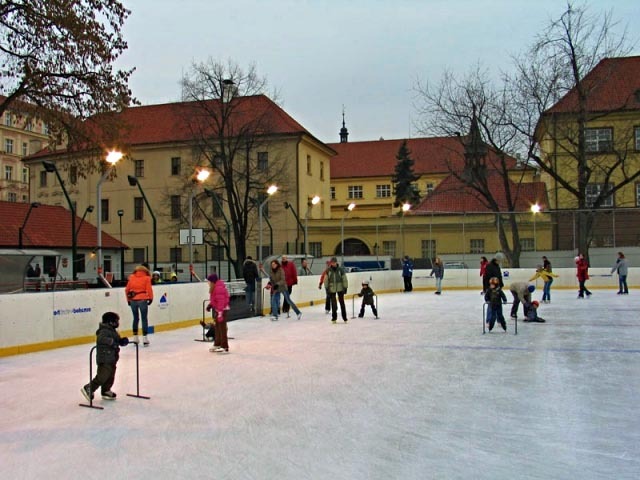 This ice stadium belongs to the elementary school Bronzova in Prague 13. It offers public ice skating during the weekends, but you need to bring your own ice skates as rental is unfortunately not available. For the Ice Skating on the frozen pond. Is there a booth for skate rentals that you are aware of? When do the outdoor ice rinks open in Prague? We’re visiting Nov 9th 2018. Are Na Frantisku and Tower Ice park rinks opened in March, and if so, until when? I’m going to Prague in march and I’d be so happy if I could skate there. Many thanks! Fernanda. Na Fratisku should be opened until March 15, but unfortunately, Tower Ice Park is closing by end of February. hasa is not a hockey rink. and its not a hotel with its own rink. its a rink with a hotel so that countrys top figure skaters have a place to stay.